BLACK SABBATH ‘THE END OF THE END’ FILM TRAILER NOW LIVE! 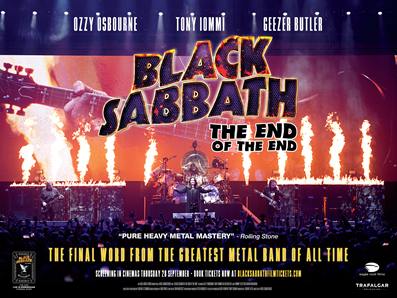 ‘The End of The End’ chronicles the final tour from the band that spawned the metal genre – Black Sabbath. On 4th February 2017, Sabbath stormed the stage in their hometown of Birmingham, to play the 81st and final triumphant gig of The End tour. This monumental show brought down the curtain on a career that spanned almost half a century. The sold out performance marked the culmination of a global tour that saw the band play to over one and a half million fans. 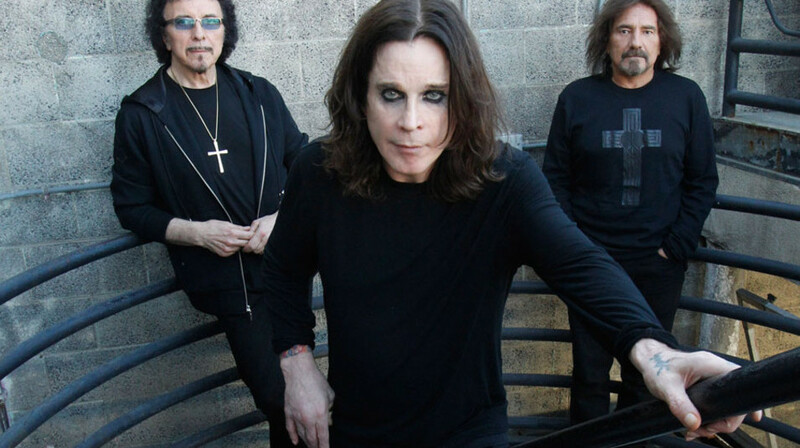 With their inception in 1968, Black Sabbath pioneered a sound that would form the basis of heavy metal, and to this day continues to influence bands the world over. The film brings fans the up close and personal story of the final, emotionally-charged concert, as the band perform hits including Iron Man, Paranoid, War Pigs and many more. Join Sabbath in the studio, as they deliver unique and exclusive performances of some of their favourite songs not played on the tour, and catch an intimate glimpse into the band’s world; the music, relationships and banter, alongside personal anecdotes.